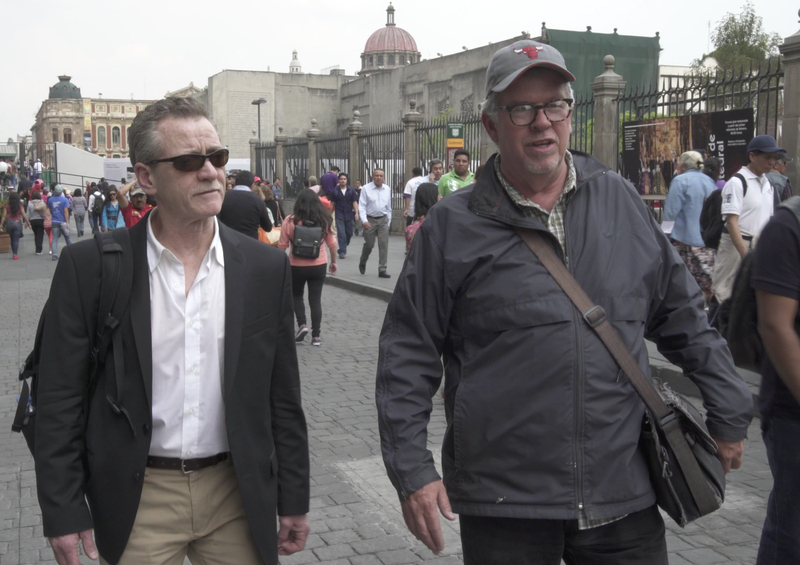 WASHINGTON, DC, Day 18 of 40 — Keith Dannemiller (R) and I walk through Mexico City’s Centro Historico on the way to one of his favorite coffee shops. I visited Keith during a March 2017 production trip shooting the pilot episode for my upcoming documentary series, FREELANCERS. Keith was essential to the “pre-production” stage of the endeavor. It was from Keith that I learned so much about the freelance foreign correspondents at work today in Mexico. It was Keith who advised me on whom I needed to contact as possible characters in the film. And it was Keith whom I referenced when I contacted those correspondents to query them about availability and willingness to participate in the project. I learned very early about the value of personal relationships in our craft. And I teach my students to forge and to cultivate those relationships with friends and colleagues as much as possible. My relationship with Keith is an example of how it all works. Neither he nor I remember exactly when, where or how we met. We remember only that our paths crossed back in the 1980s as we both covered the violence raging through Central America, and that the chemistry between us worked. Now, decades later, that chemistry worked again. And we re-connected on a level as deep and as gratifying as the first time around. The craft of journalism is about more than just bylines from cool places and stories around the world. It’s also about the kind of friendships you make with people like Keith. It’s an extraordinary way to live one’s life. And as I meet and document the lives of freelancers today, I am reminded once again of the real reward of our craft. So, thanks, Keith, for your help on this project.